Went to his new home on Saturday 16th December 2017. 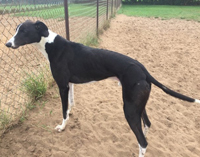 Joe is a black and white ex-racing greyhound who was born on the 1st December 2013. He is a big soft lad weighing 38.5 kg. 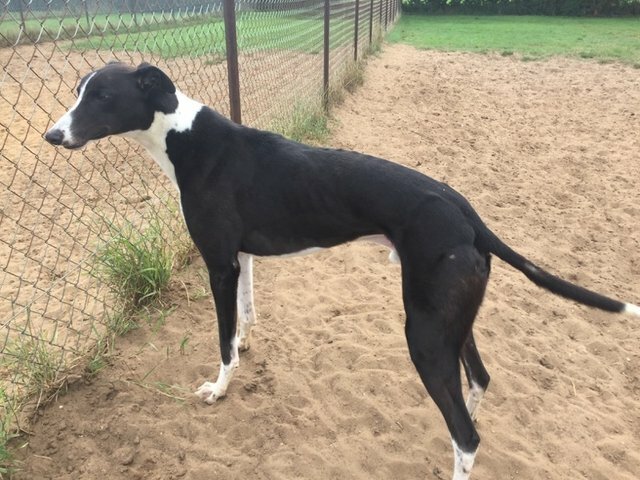 whose tail is always wagging, he doesn't want to race, is okay around other breeds of dogs, walks okay on the lead and travels well in the car.